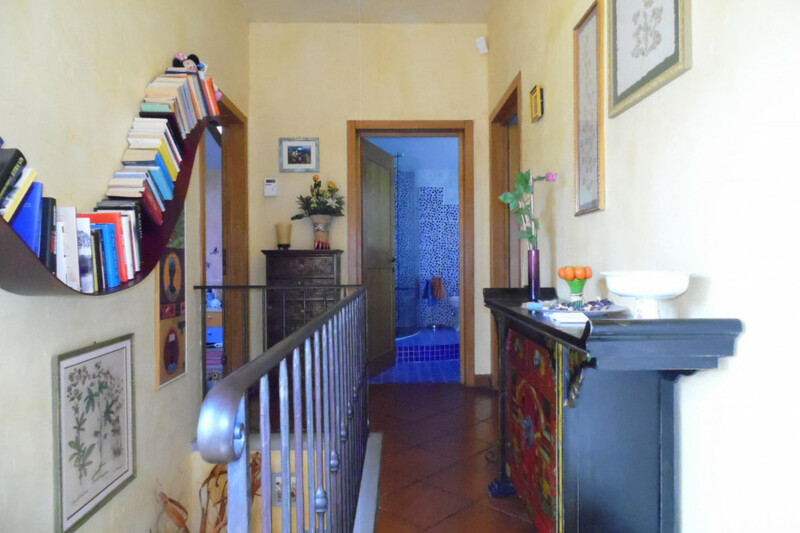 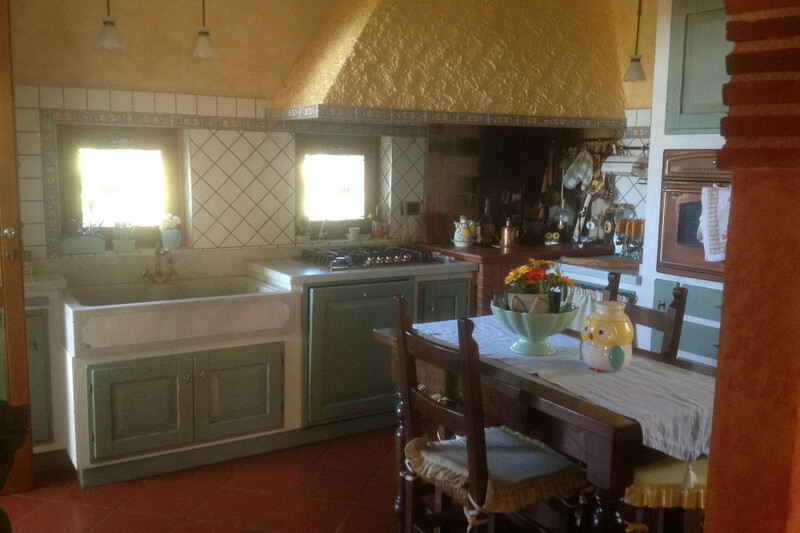 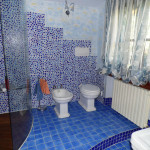 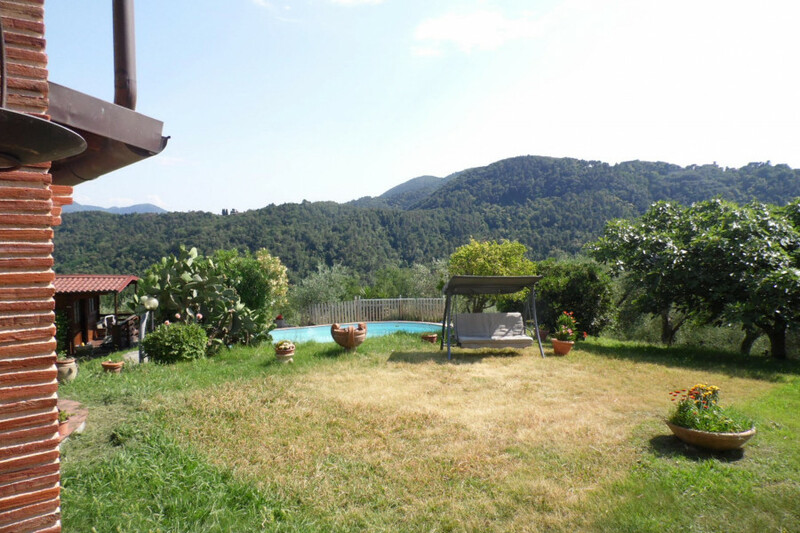 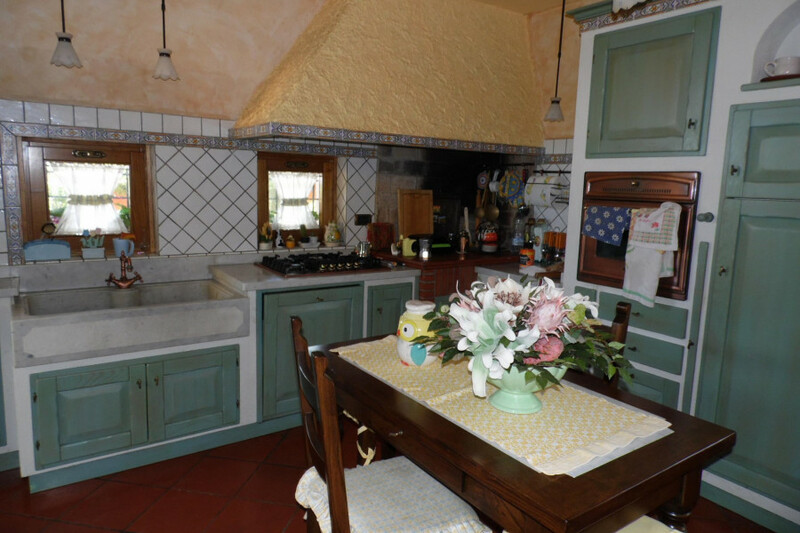 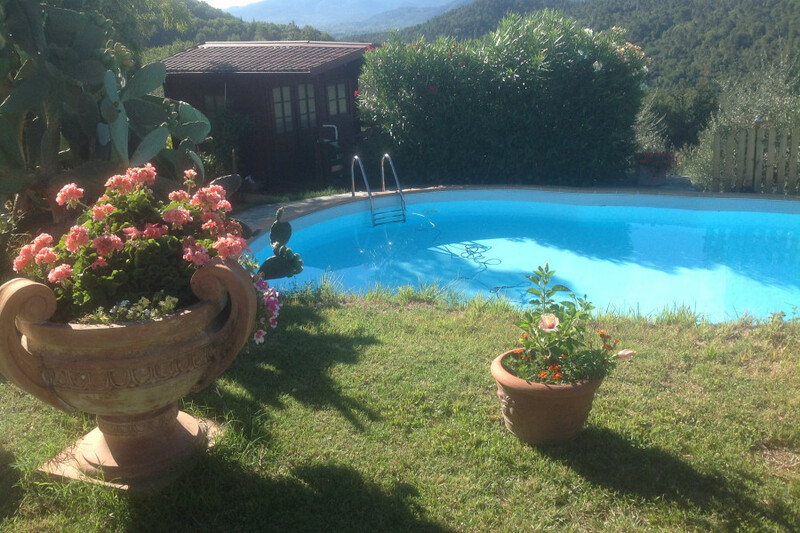 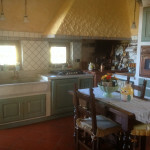 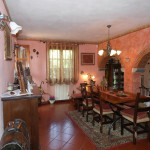 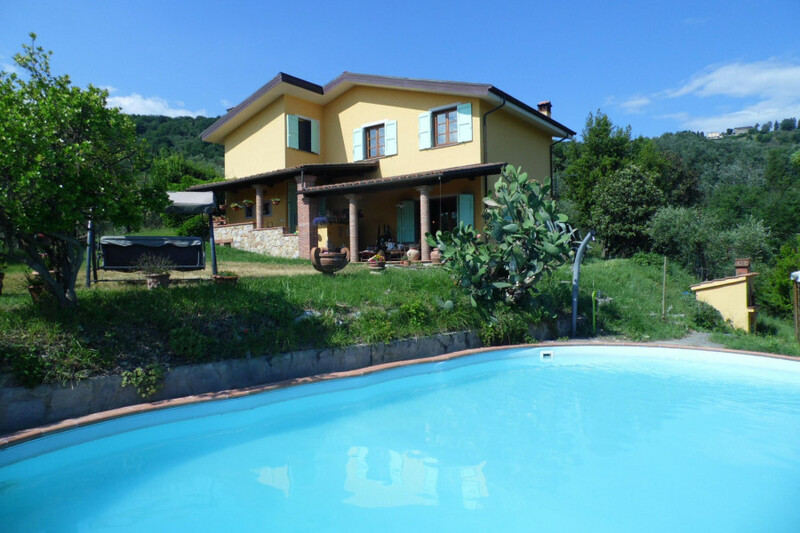 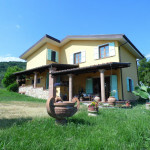 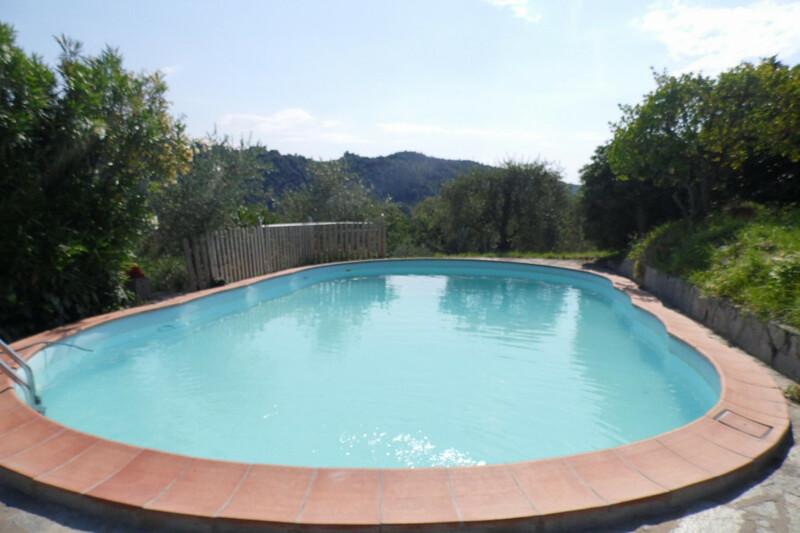 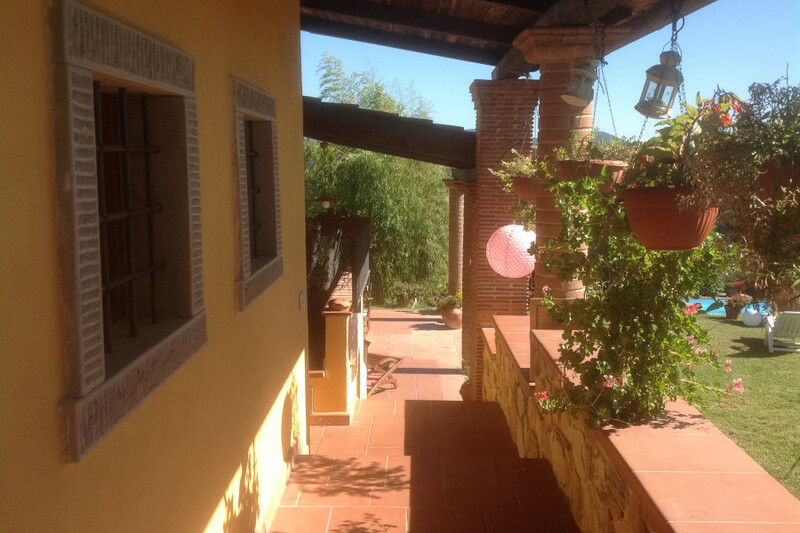 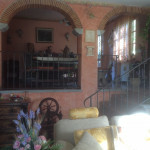 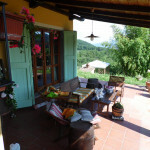 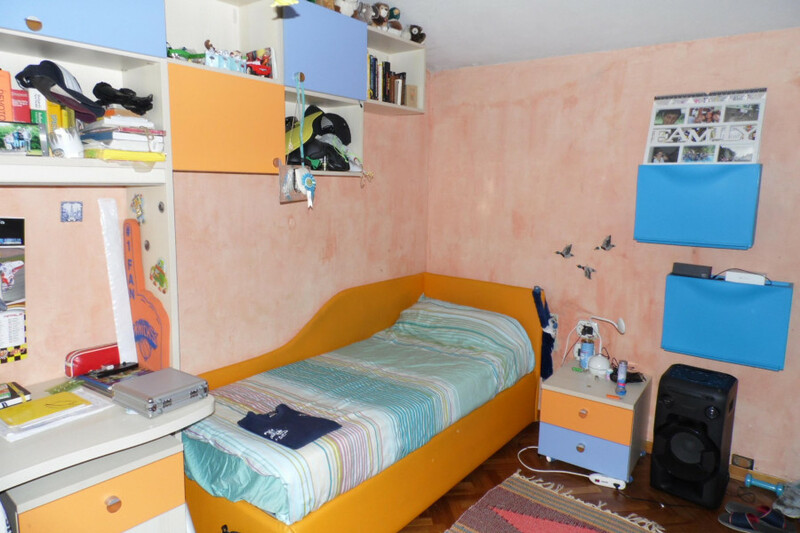 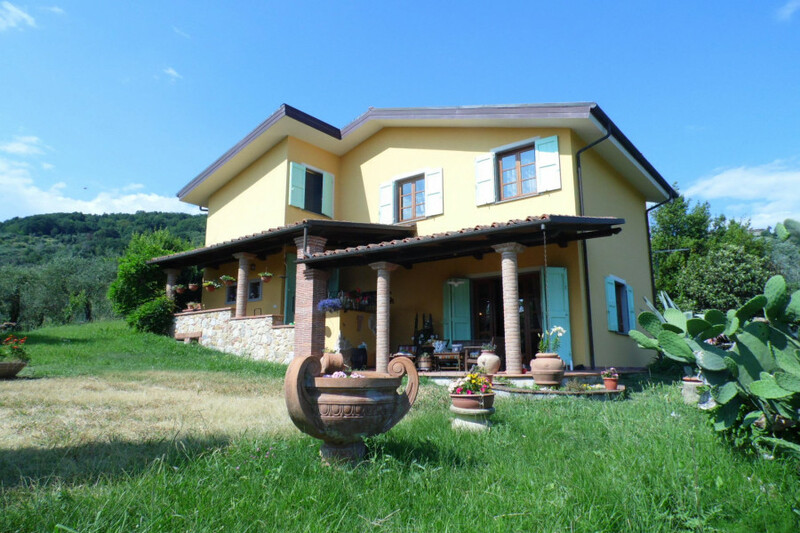 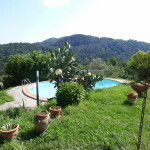 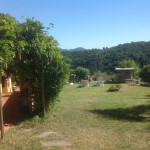 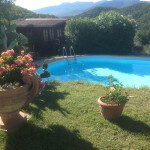 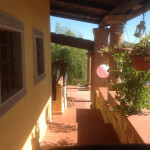 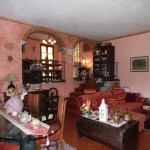 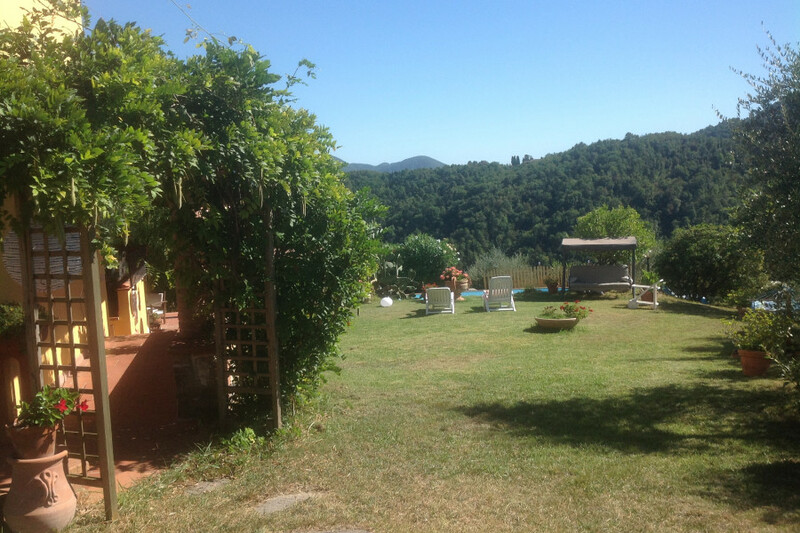 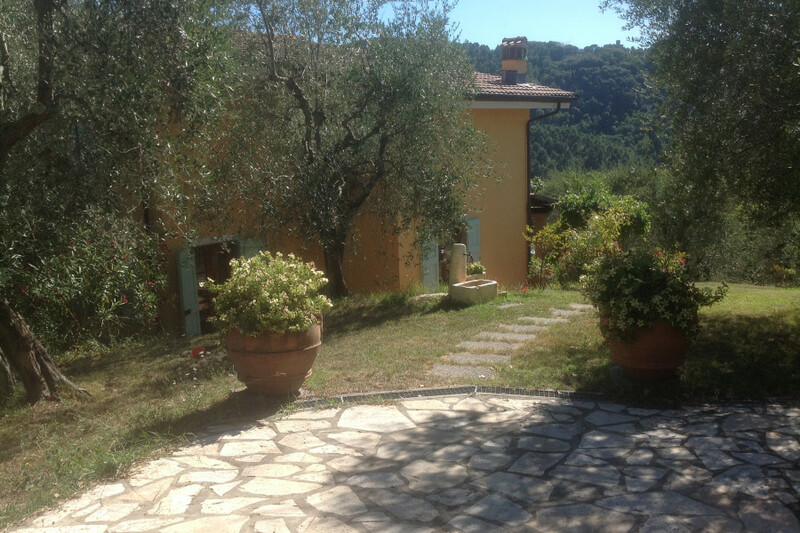 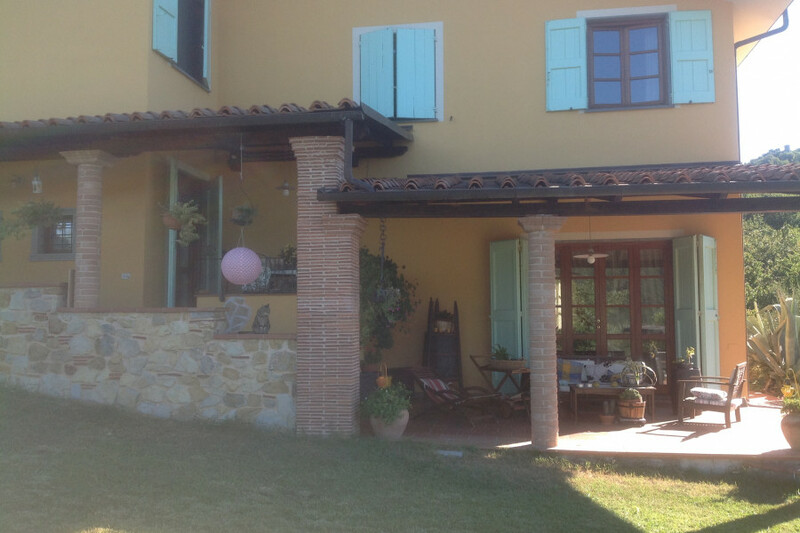 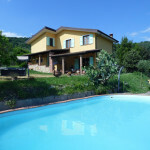 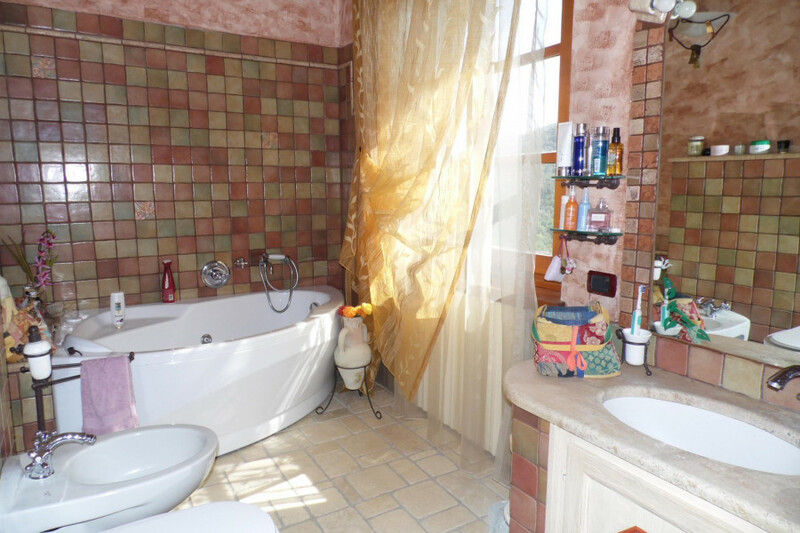 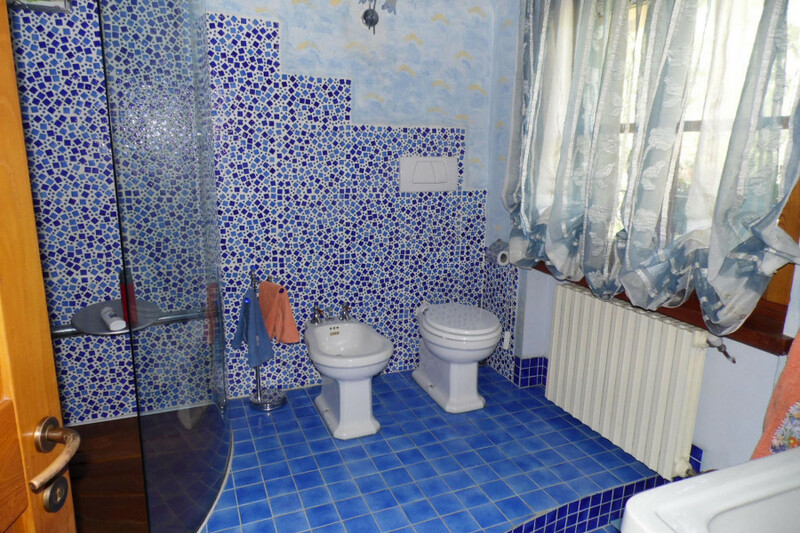 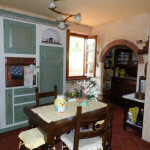 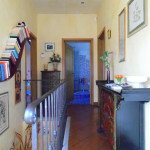 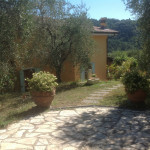 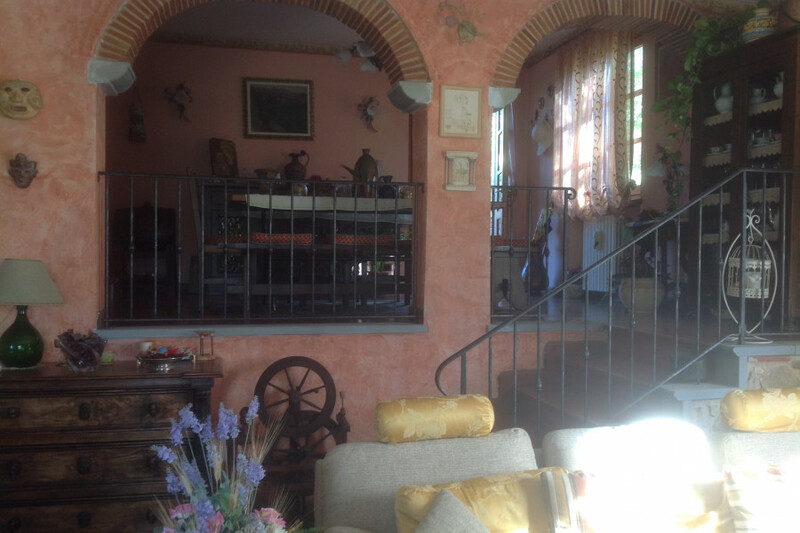 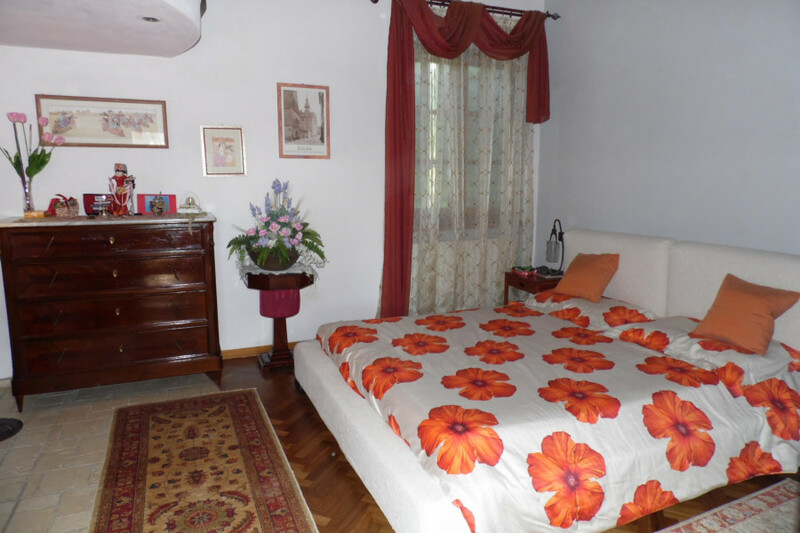 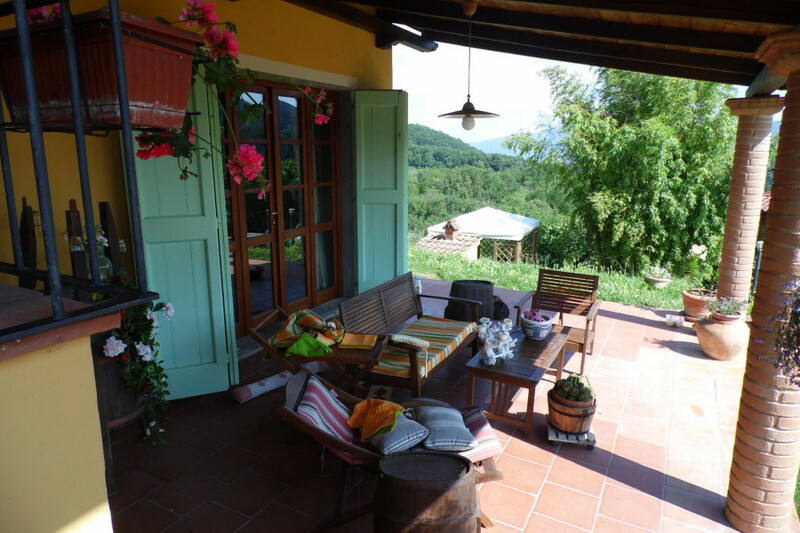 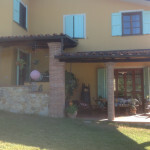 Independent villa (150 sqm) with pool near Lucca. 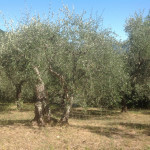 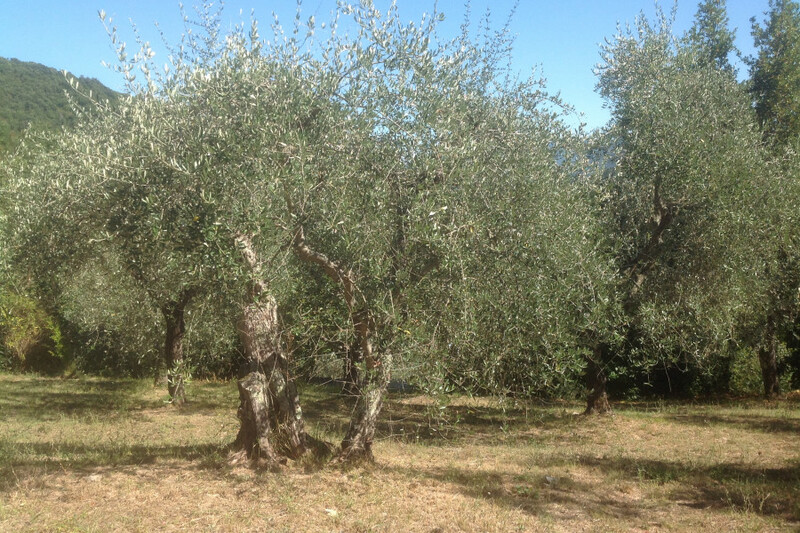 2 hectare of garden with 200 olive trees along with many fruit trees plus 1 hectare of woodland all completely fenced, water source from underground well. 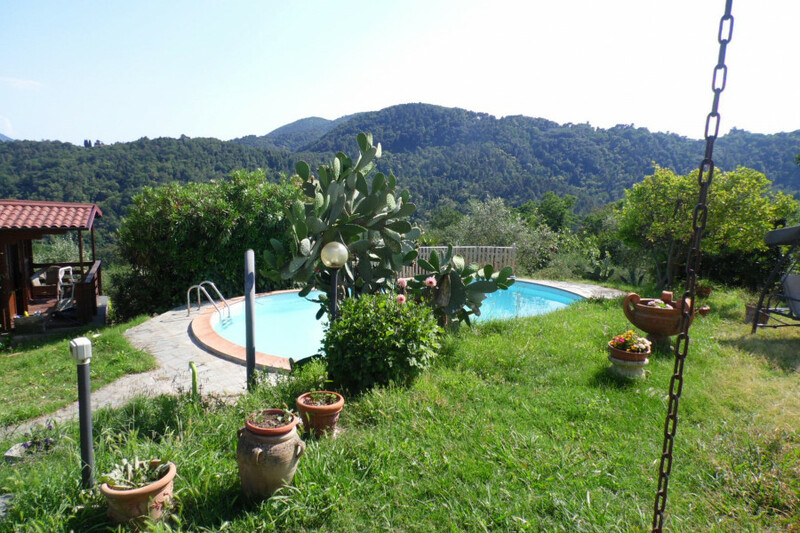 In an idyllic setting in the hills above Lucca newly restored barn is surrounded by garden which includes an olive grove with astounding views across the valley. 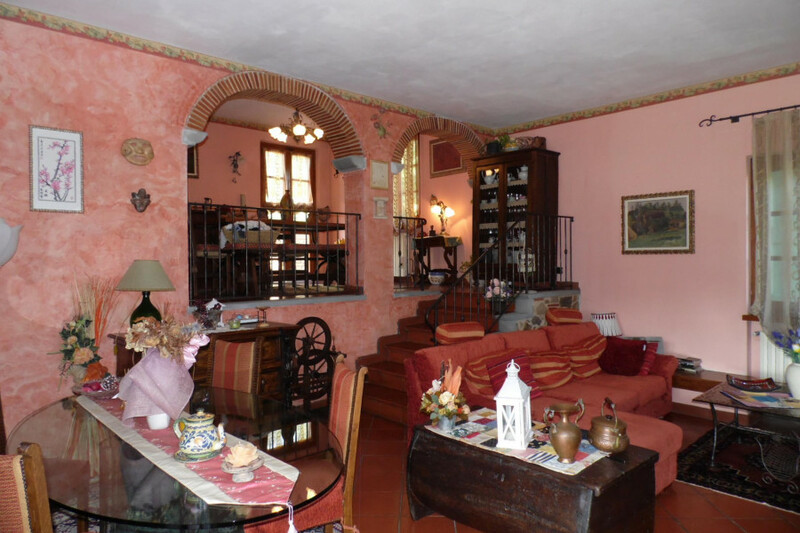 This comfortable and beautifully furnished villa has been sympathetically restored with high quality fittings. 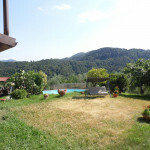 Viewing is strongly recommended to appreciate this beautiful property. 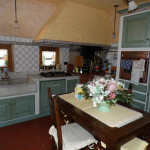 Newly restored ventilated roof, oil central heating, double glazed window. 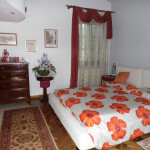 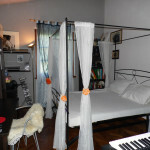 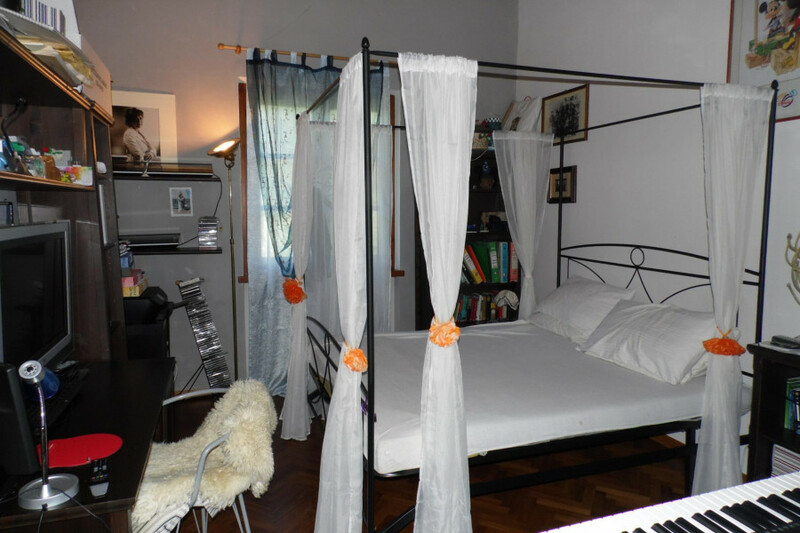 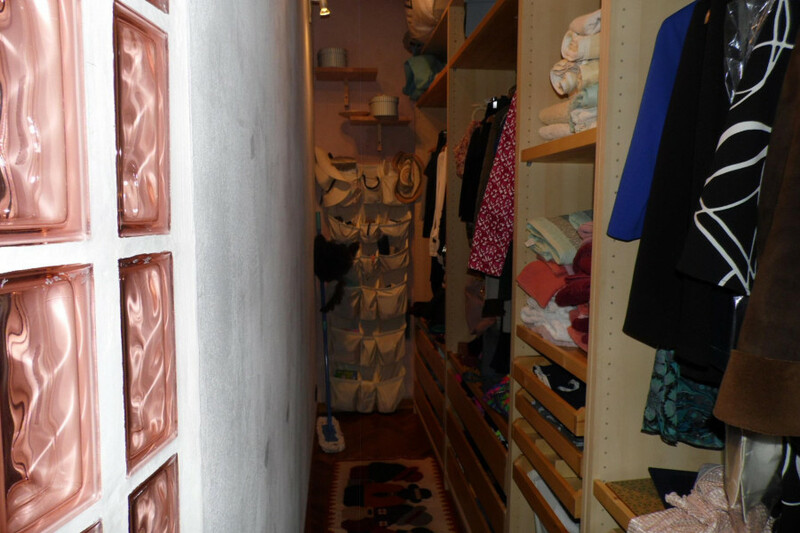 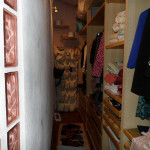 Main double bedroom with mezzanine, walkin wardrobe & ensuite bathroom with Jacuzzi. 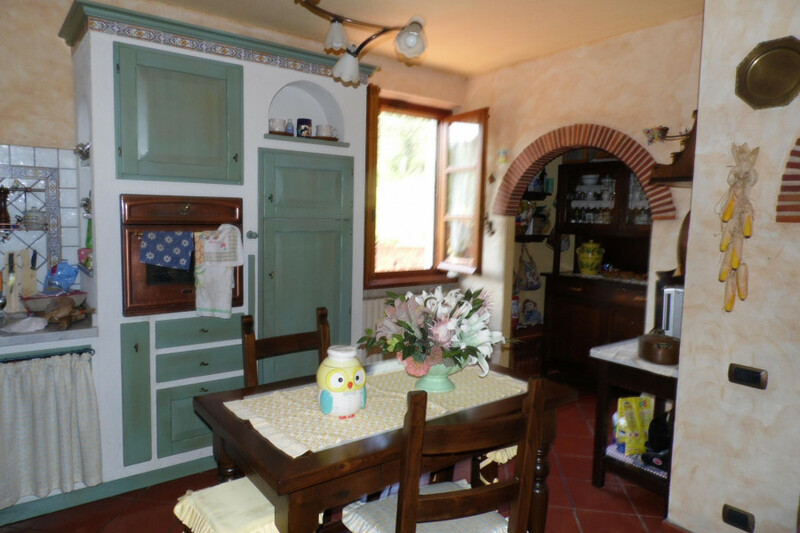 Large Dining Kitchen, best quality material, fully equipped. 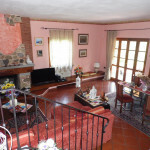 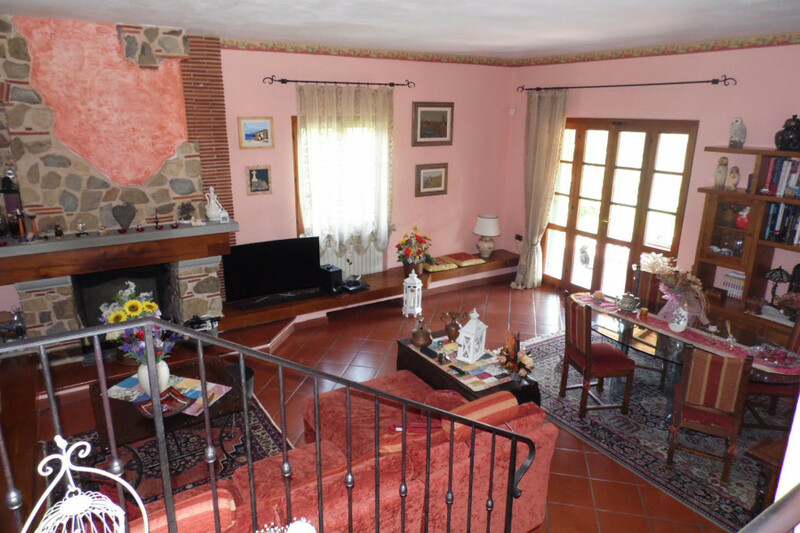 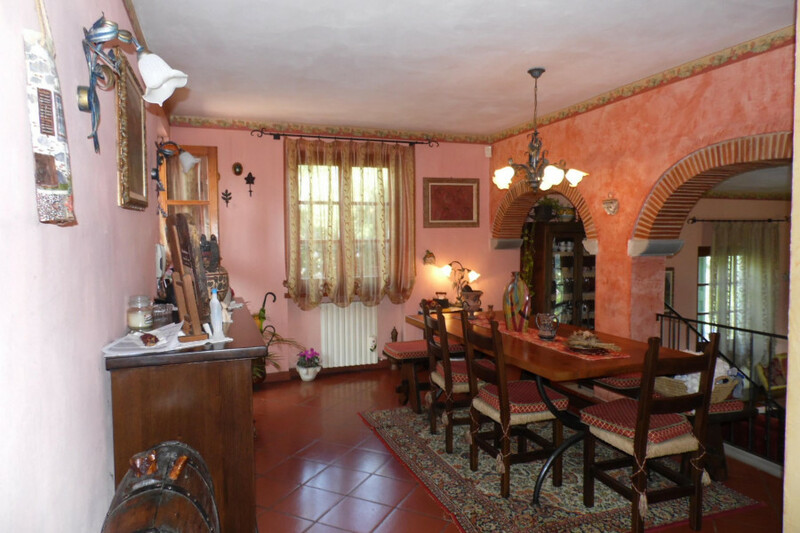 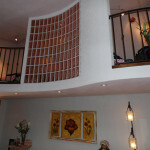 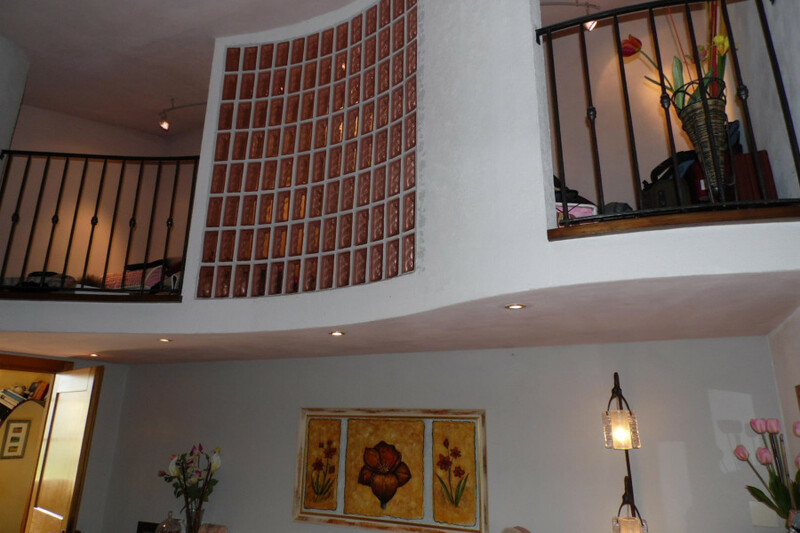 Split level Dining Room and Lounge with wood fireplace, with original cotto floor tiles.